Do you really need to send the thank you letter, as the follow up, after job interview? Many times, you probably can get the job without ever formally thanking anyone…assuming that is you meet the job criteria and had a stellar job interview; but it is still critical to send one. Why The Thank You Letter and Follow up? In short and in plain language, it sets you apart from younger competition. Today’s younger generations (Gen-x and Millennials), lack the more polished and formalities that those of us over 50 were brought-up with – Manners really do Matter! It may not sound like much, but ANYTHING that helps you stand out from competition, does help. Taking the time to crafted the thank you letter shows how polished and mannered you are. It shows your detail and process oriented, and that you paid attention during the interview process about issues and challenges the employer was having. Allows you another opportunity to highlight your experience and bring forth a point you may have failed to mention during the interview. During the interview process, your main goal was to highlight you and how you are the answer to a prospective employer’s problem, and of course leave a positive impression. The thank you letter is simply an extension of that…just another chance for you to leave an important impression that will help you standout and help folks remember you. Addressed thank you notes directly to those you met during the interview process and no cookie cutter letters please. Take the time and do it right. Always use their full name and official title in the heading of the letter as shown below – remember to get that all important business card! 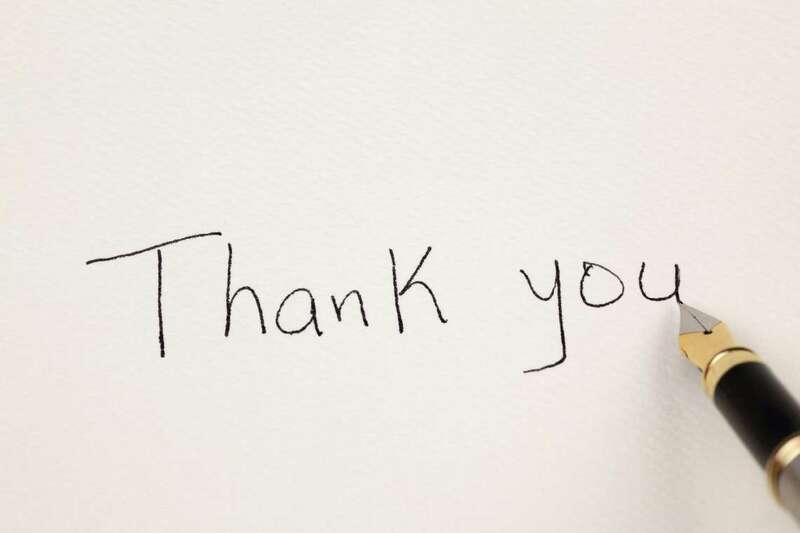 When addressing the thank you letter, after “Dear”, do not use their first name, be professional and use Mr., Ms., or a title like Dr., Judge or Professor, Vice President as warranted. If you had more than one interviewer, customize a letter or note specific to each person. As an example, you will want to remember something each person said that you want to mention or something that was trying to accomplish with this position. Take the time to personalized each note and stand out even more from those who do not go that extra distance. Attach a business card to the thank you letter, if you don’t have a professional card yet, get one made (they are very inexpensive), and will help you build your brand, show your professionalism, and if you add a picture of yourself…all the better and a great leave behind as well – attach it to your resume! Do Not Spend Too Much Time Debating Whether Your Thank You Letter is Emailed or Handwritten...The Important Thing Is To Do It and Send It! The kind of note to send, via email or handwritten and mailed depends on the situation. Your follow up thank-you letter should be "a sales letter selling you"…and should focus on why you are a good fit, how you are the solution and answer that they are searching for and close by saying you're looking forward to the next step (remember your ABC “always be closing”). Thank you letters are used to "close the deal"
Follow up letters are used to "break through any silence"
Sending a thank you note after an interview is a long-time practice that gives you the opportunity to get your name in front of the interviewer one more time and to include some specifics about why you want the job or how you can help the company. When there silence and you do not hear back…then what comes next? When following up after the thank you note, you walk a fine line between seeming genuinely interested and seeming desperate. They said they would call by Wednesday the latest…but now it is Thursday, and you still have not heard back – What is going on? Where is the job offer? It is possible that you did not make the cut, but probably that the interviewer just got busy…right??? What should you do next? 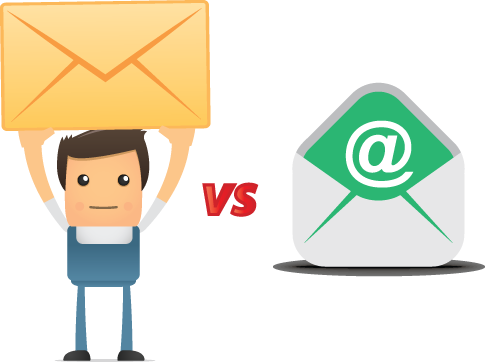 Call or email? If you do not get a reply in a few days, try again and be pleasantly persistent. You might run the risk of annoying a swamped hiring manager – so be polite, but do be direct. As long as your messages are polite and brief, interviewers will be impressed by your perseverance, communication skills and interest. You have to stop worrying about how you are being perceived and instead be worried about making people see how you can contribute and manage situations. Keep your messages positive. Do not come across sounding worried, or desperate. 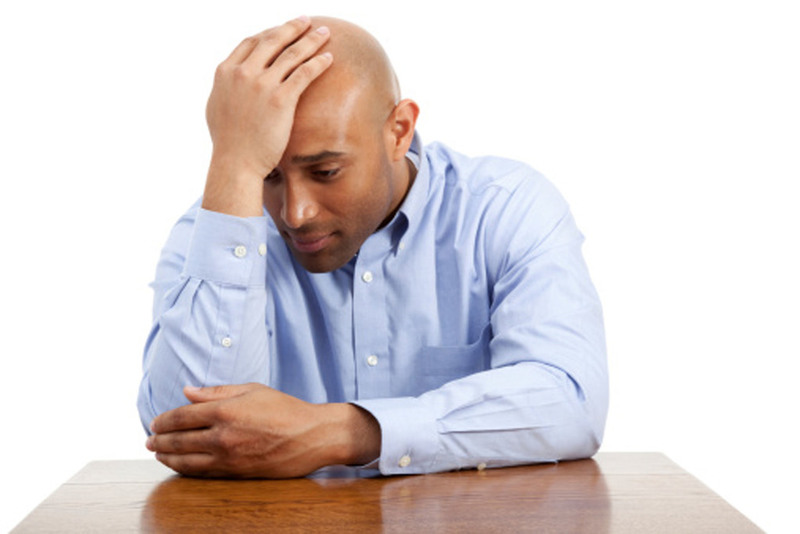 Being over 50 and fighting for a job is hard enough, do not make it any harder by becoming desperate – the interviewer will pick-up on that and it will work against you. In the thank you letter remind them about your conversations, say you enjoyed meeting them and learning more about the opportunity and company, and how it has increased your interest. Prepare a script, and know your game plan. If for some reason you blew it…bounce back from rejection. Perhaps you feel that you did not make the best impression in the interview – maybe you were just not feeling all that well, not on your "A" game. Well crafted the thank you letter and follow up can be your chance to recover, break that silence and tell them you will provide them with additional resources, ask if you can send additional documentation of your abilities, or even better yet, get references to send notes on your behalf. I get it; it is frustrating, aggravating and very hard to prevent those feelings of hopelessness from setting in. However, stand tall, be strong and thank the person for letting you know. Ask the interviewer if they would give you any feedback that you could use for future interviews...I would STRONGLY encourage it. 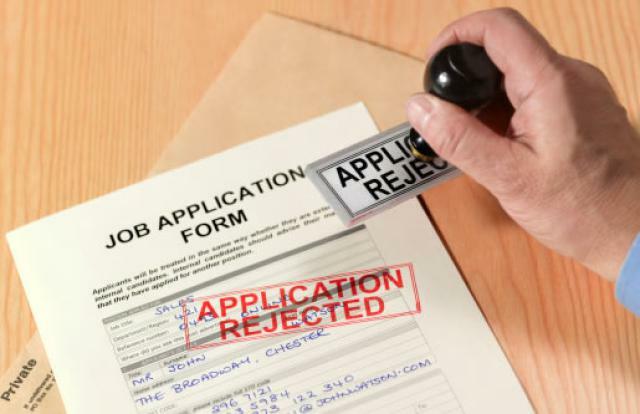 At the very least, it will become a learning lesson that you will take into your next interview; so show how interested you are by sending a post-rejection follow up letter thanking them for their time, the opportunity and their courtesy…it certainly will not hurt, and will show your class and maybe even help in another opportunity. Many people believe that the job interview is the last mainstay before either getting a job or not getting a job – that is not always true. There are many factors before and after the job interview process that dictate if you are the right person or not. Before the interview, things like a poorly written resume or a cover letter that misses the mark and does not bring out your brand and what you offer will set the wrong tone. After the interview, those follow up emails where you communicate with the company are often very critical. How is your online profile, is it telling the right story or is it hurting your brand (remember those pictures of your parting college days)? I want to reiterate the power of the follow up and thank you process. If you failed your interview, no follow up email on Earth is going to help you. However, if you follow up after a good or positive interview, then a great thank you note or email will separate you from the crowd, from of those who did not bother sending one. Articles or Content may not be reproduced in any way without prior written permission.